One of the great things about my latest revelation is that I get to go shopping in my stash. It’s a great way to get my creativity going. I’ve had this yarn since MDSW 2005. It’s so old it’s not even in the fest stash sidebar! 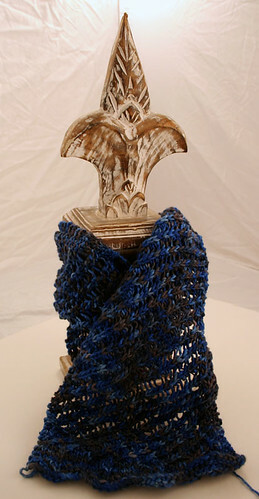 I think when I bought it the Clapotis craze was at a high and I envisioned this as a second Clapotis. 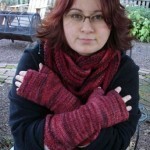 But I’ve learned by now that there are *very* few patterns I will choose to knit more than once. Still, this yarn is *gorgeous* and I’m shocked it’s stayed in my stash for two and a half years. I still wanted the bias look and the single strand of yarn showing through, like it does with the dropped stitches of Clapotis. 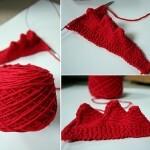 I must have tried six different stitch patterns before settling on the one you see here. It’s patterned every row so the yarnovers show as single strands, and the offset k2togs give it a bias look too. I do like the way the back looks, although I think the RS is the star with its strong knit stitches forming a diagonal. Still, I’m happy that the back looks acceptable, since a scarf will inevitably show its WS when you least expect. Christy have no fear, there is something I do want to change (I don’t like to disappoint you!). The edge is all wrong. It’s not deep enough and it may also be too dense. I do like how it flares out a bit though, as well as the knitted cast on and the few rows of garter at the edge. Once I’m done knitting the center portion I’ll snip off the edge and figure out something else. Which, if everything goes as planned, should be later this week. 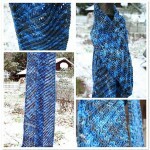 I want to get past the 30 mark in number of skeins decreased in the stash during November. I’m very curious about the stitch pattern. My mom has been hinting about wanting me to make her a scarf for a few years and I have some red yarn in the stash but haven’t been able to settle on anything. Is this from a Barbara Walker book? Very pretty. I love how you style your photos. I wish I had your eye. 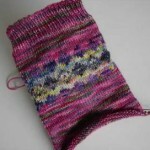 I love the colors, and it looks like you found something to make the multicolored yarn work. Not always easy! Yes, your pictures are so gorgeous. And thanks for the the good kid compliment. I hoped no one would mind. Hope to see you Saturday! 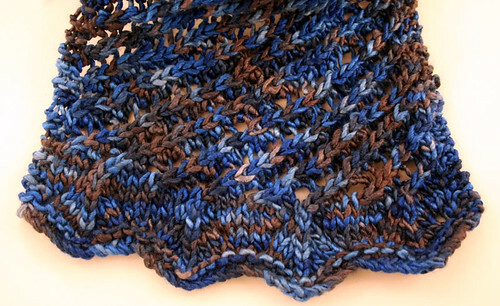 The colorway is gorgeous, you picked a really great pattern it highlight it, it looks fantastic! Gorgeus colours! 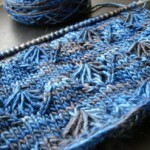 And I think the pattern suts the colourway excellent, showing the different shades in a beautiful way. very cute – looks cozy and functional! It looks wonderful. Will you be publishing the pattern once you’re done? oh i love this yarn!!! Don’t you just love stash busting? Anytime I go in to “re-organize” I find myself finding things I have forgotten about. Beautiful. The colourway is just my cup of tea. 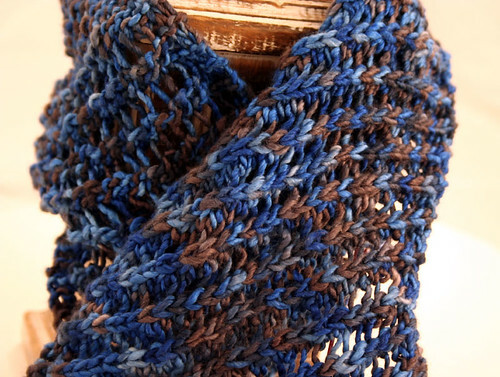 Your combination of yarn, color, and pattern is perfection. 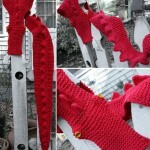 That is just gorgeous, and I want to make one! Will you make the pattern available? Greeting. Sometimes love will pick you up by the short hairs…and jerk the heck out of you. Thank you so much for your future answers :p. Langdon.